They have developed through years a deep knowledge of the market and an ongoing presence on the field, and have a privileged relationship with the sellers and the buyers. They also supply various services such as drafting provisional sales agreements or offers to buy, receiving agreed funds and taking responsibility for all these acts. Our multilingual and multicultural team are at your disposal to answer any question you may have.So,do not hesitate to contact us for further information. EURO INVEST IMMOBILIER OPTIMAL will be by your side on the day of the signing of the notarial deed. You will also benefit from our experience regarding any obligation imposed on the buyer (removal, works, practical or administrative steps, water, electricity, gas, insurance…). 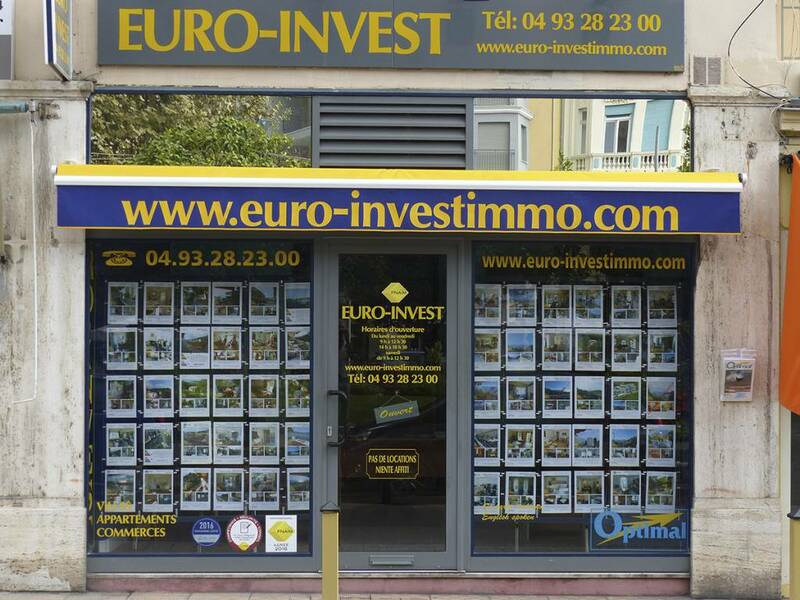 EURO INVEST IMMOBILIER OPTIMAL Agency is located between Italy and Monaco, right in the heart of the city of Menton, by the Biovès Gardens, and is pleased to welcome you from Monday to Saturday, from 9 a.m. to 12 a.m. and from 2:30 p.m. to 6:30 p.m.
Our website tells you all about Real Estate in Menton! Learn about the market pulse,locate our listings with GoogleMap,find all the details updated in real time!